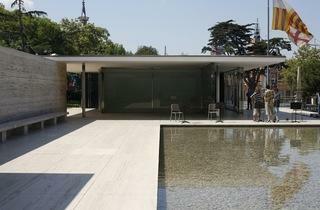 Mies van der Rohe built the Pavelló Alemany (German Pavilion) for the 1929 International Exhibition not as a gallery but as a simple reception space, sparsely furnished with his trademark 'Barcelona Chair'. The pavilion was a founding monument of modern rationalist architecture, with its flowing floor plan and revolutionary use of materials. 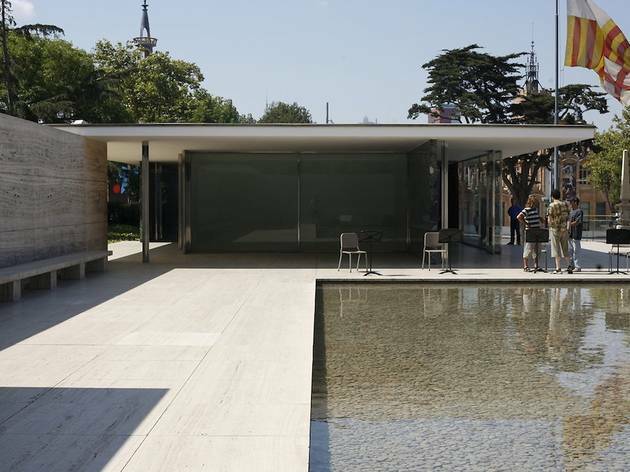 Although the original pavilion was demolished after the exhibition, a fine replica was built on the same site in 1986, the simplicity of its design setting off the warm tones of the marble, and the expressive Georg Kolbe sculpture in the pond. There are free 30-minute guided tours every Saturday (10am in English).